When it comes to hipped roofs, there are a number of different roof designs to be found. 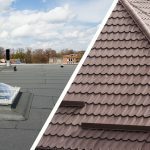 As with any roofing, the prospect of choosing the right one for your property can be a daunting and confusing process, so here we aim to help clarify the different types and which may be best for you. 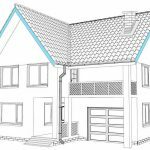 Before going into detail about the different types of hipped roof design, though, let’s clarify exactly what a hipped roof is. 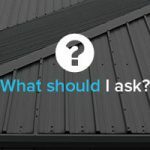 What is a hipped roof? 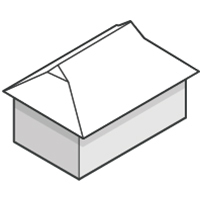 This is a common roof type which, simply, does not have flat sides. 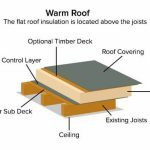 These roof constructions are ideal for homes which may be exposed to dramatic weather such as high winds or hurricanes, they offer improved internal bracing and have a lower chance of being peeled from the house at the gable end of the roof. 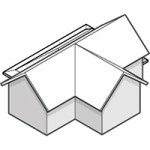 Though hip roofs do offer less internal space, this is a small price to pay for their wealth of weather-shielding and other practical benefits. 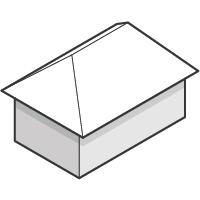 These roofs are the most common type of hip roof design, with a ridge over a portion of the roof which in turn creates two polygon sides and two triangle sides of the roof. 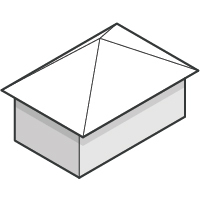 A pyramid hip roof, as its name suggests, is created through four equal triangular sides which meet at a singular point at the top of the roof which juts upward. This roofing construction could be likened to the effect of bringing two hipped roof buildings together. The two roof sections meet at their respective ends, creating a seam which is referred to as the ‘valley’ or a cross hipped roof. 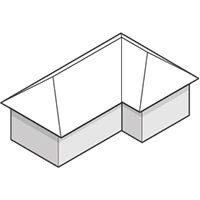 This is a take on the standard hip roof design, but in this instance the two sides of the roof are shortened in order to create eaves. 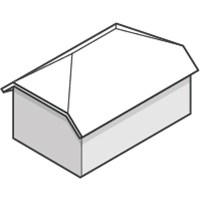 This is a hybrid of a gable and hip roof design, in which a full – or partial – gable can be found at the end of a ridge in the roof, which allows for more internal roof space. 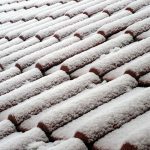 It can also improve the aesthetic appeal of the roof, creating a design that is more interesting and less commonly found. 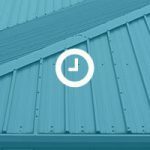 Here at JTC Roofing, we are proud to provide a high quality hipped roofing design and installation service across the UK. To find out more about any of our products or services, or for any other enquiry, get in touch with our friendly team today. 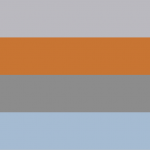 We’ll be happy to help with any queries you may have, and will get your roofing project underway in no time at all.